Offering you a complete choice of products which include diaphragm 450 & 750 mark 2, diaphragm jbl rcf p audio type, diaphragm 450 cap, diaphragm 750 blue, diaphragm 450 and hf driver 518 diaphragm. ATI Pro Audio is a well-known Trader, Wholesaler, Importer, and Exporter of Diaphragm 450 &amp 750 MARK 2. 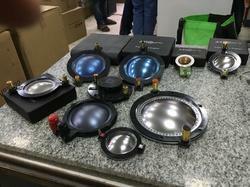 ATI Pro Audio is a well-known Trader, Wholesaler, Importer, and Exporter of Diaphragm JBL RCF P audio Type. 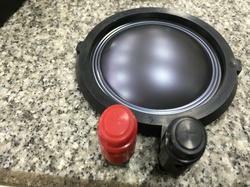 ATI Pro Audio is a well-known Trader, Wholesaler, Importer, and Exporter of Diaphragm 450 CAP. 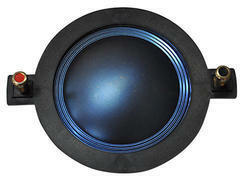 ATI Pro Audio is a well-known Trader, Wholesaler, Importer, and Exporter of Diaphragm 750 Blue. 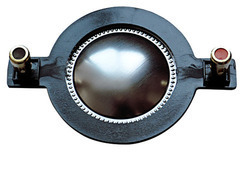 ATI Pro Audio is a well-known Trader, Wholesaler, Importer, and Exporter of Diaphragm 450. ATI Pro Audio is a well-known Trader, Wholesaler, Importer, and Exporter of HF Driver 518 Diaphragm. Best suited for atipro 518 hf as well as other brands. 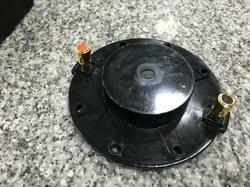 ATI Pro Audio is a well-known Trader, Wholesaler, Importer, and Exporter of HF Driver Vrx Diaphragm.